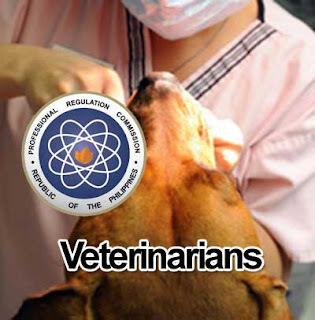 The Professional Regulation Commission was successfully released the Veterinarian Licensure Examination given by the Board of Veterinary Medicine in the designated testing centers in the cities of Manila and Cagayan de Oro this September 2014. PRC was happy to announced that the results were released in one (1) working day from the last day of examination. The Board of Veterinary Medicine Chairman is Dr. Ma. Elizabeth D. Callanta with Dr. Mariano LL. Jovellanos and Dr. Maximino M. Montenegro as the members. A total of 220 out of 666 passed the Veterinarian Licensure Examination on September 2014. The list of topnotchers can be viewed here. Comments or suggestions about "September 2014 Veterinarian board exam results released in 1 working day" is important to us, you may share it by using the comment box below.